For anyone who’s ever considered the sun-soaked, rum-fueled, less-than-two-eyed life of a pirate, there’s hope: a U.S. deep-ocean exploration led by Tampa’s Odyssey Marine Exploration just recovered $1.3 million in gold from a shipwreck in the Atlantic Ocean -- and believes there to be tens of millions more. 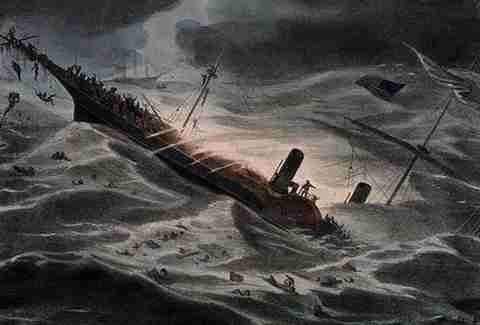 The SS Central America was sailing to New York from Panama when it sunk during a hurricane in 1857, killing 425 people. The ship was hauling so much gold at the time it allegedly triggered one of the world's first financial crises, according to The New York Times. Known as “the ship of gold”, it’s thought to have been carrying 21 tons of fresh California-found currency intended to bolster the struggling banks of New York. Which, of course, caused widespread financial panic when it never arrived. 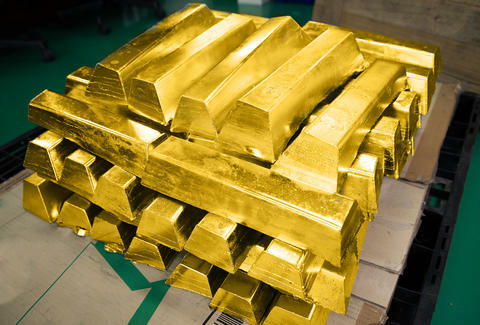 Explorers recovered nearly $50 million in gold from the ship, which sits 1.3 miles below the sea, in the late 1980s. But the project was shut down after a number of lawsuits and disputes over who owned the booty. No one has tried to plunder the wreck since 1991, leading to speculations on how much loot's still left to be discovered. Odyssey Marine Exploration announced during its initial search, which began in April, it had already recovered five gold ingots and two $20 Double Eagle coins. And according to The Columbus Dispatch, the haul already would be worth around $1.3 million in weight alone, not even taking into account the fact that these are relics. But with such a disputed history, and an unknown amount of treasure left, there will certainly be more booty calls before the exploration's expected end date in September.